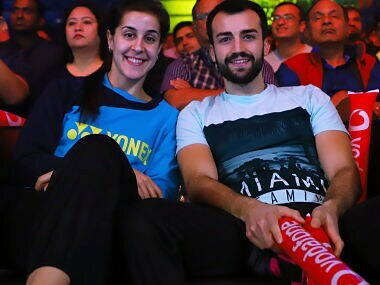 On Saturday, as the Mumbai Rockets sprung a surprise on last season's Premier Badminton League (PBL) champions Hyderabad Hunters, led by PV Sindhu, in a pulsating semi-final at the Kanteerava Indoor Stadium, an unexpected face sat in the stands watching the action: Carolina Marin. The Spaniard's own team, the Pune 7 Aces, had been eliminated in the group stage itself after finishing fifth in the table. Pune’s last match at the tournament was on 6 January, while the group stage ended four days later, confirming that for Marin and her teammates, the tournament was over. 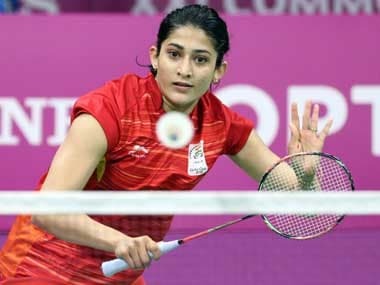 However, Marin’s participation at the PBL has continued, the 25-year-old appeared for a brief phase to join John Burgess and Vimal Kumar, who works as the chief coach at the Prakash Padukone Badminton Academy, for commentary during the clash between Mumbai Rocket’s Sameer Verma and Mark Caljouw. Marin’s extended presence in India is only partially logistical: her next tournament is the Malaysia Masters Super 500 event, which begins from Tuesday, and travelling back to Spain and then going to Malaysia was impractical. With a dearth of good quality training partners back in Spain, Marin’s extended stay in India with the 2019 season almost on the doorsteps was primarily to get some high-quality training under her belt, on the sidelines of the PBL. It is learnt that Marin had requested for Rahul Yadav Chittaboina, the men’s World No 146, as a training partner and spent Thursday and Saturday on gruelling 40 to 50-minute sessions with the 20-year-old shuttler from India, where the duo played three-game matches. The two had been partners at Hyderabad Hunters last season. “I like training with Rahul Yadav, because it is a very good opportunity to spar. Sometimes my coach also tells him how he should play against me, and he does that. “For me, it is difficult to get sparring partners in Spain. The level of sparring partners is not quite there. So it helps when I come to India, because it ensures I get competitive sparring,” Marin told Firstpost over the phone from Bengaluru, where the final of PBL 4 will be held on Sunday. It is learnt that Marin had to take permission from Indian national coach Pullela Gopichand to train with Yadav, which the legendary Indian ex-player was quick to grant. Talking about their training session together, Yadav said: “She told me specifically not to jump and smash like men usually do. She also requested that I not hit the shuttle as hard as I would normally do, as that’s not the kind of ferocity she would encounter in competitions. For Marin, the additional days spent in India also present an opportunity to soak in the attention she gets from Indian fans. It may not be that much of a stretch to suggest that she's a bigger star in India than she is back home. “I love to play in India. Especially in competitions like the PBL, because it is a team-based event. It also presents me the opportunity to play in an environment where there’s team spirit. “The reception I get from fans in India is always unbelievable. When I came here after the Rio Olympics, I thought maybe fans would not like me so much considering I had just beaten (PV) Sindhu in the final at Rio. But as soon as I took the court, the fans started shouting my name. It was very surprising,” said Marin.